While most of the old school pop stars, such as Katy Perry and Lady Gaga, lose their positions to the new hip-hop era (Cardi B, Post Malone), Beck is trying to fit into contemporary pop culture with his new pop-rock album “Colors”. Beck is an American singer, songwriter, producer and the weirdest guy in popular music since the 1990’s. His first hit single “Loser” became a hymn for the 90’s generation. It was ninth on Pitchfork’s list of the best songs of the 1990s, even higher than Nirvana’s “Smells Like Teen Spirit”. Beck could have become a one-hit wonder, but that careless and trash-styled kid was sure of what he wanted to show to the world. Beck was full of experiments in music production, and became a new David Bowie for teenagers: every album had different concepts and music styles. “Sea Change” (2002) marked a real change in Beck’s direction. It was produced by Nigel Godrich (mostly known for the production of “OK Computer” by Radiohead). This record is a melancholic piece about the break up with his long-term girlfriend and self-realization. Most of the music critics agreed that this was Beck’s best album to date. After that, Beck returned to his hip-hop roots with the album “Guero” (2005). However, fans understood that the kid had grown up and all the big experiments with sound and concepts were in the past. After the release of the acoustic journey and Grammy Award-winning “Morning Phase” (2014), devoted fans had to wait 4 years until the next album. Beck kept their interest by releasing selected singles from the album in the meantime. In 2015 Beck released his first single “Dreams”. 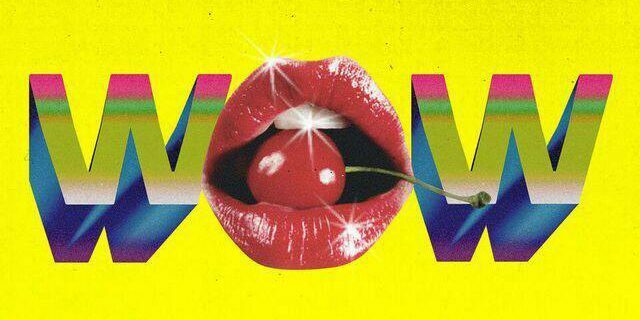 The song sounds like Beck took the best sides from Charli XCX’s “Famous” and added more funk and psychedelic and art rock to his new piece. This jam sounded fresh and tasty, a truly high-quality track from the upcoming album. This track was full of experiments with the sound and structure. Billboard named it one of the best tracks of 2015, even though Beck’s label and his team did nothing to promote it at all. Then Beck was silent for another year until he released his second single “WOW” and a video for this track. It seemed like Beck tried to be as modern as he could, adding some trap beats and a flute sample to his song. The lyrics were written in the best traditions of famous “Guero” album, but the music experiment sounded empty and pointless because of the poor production. Also, the video has his two children, Cosimo and Tuesday, having fun, but the video does not seem to match the song. In October 2017 Beck finally released “Colors”, which consisted of 10 tracks. Beck collaborates with Grammy Award-winning producer Greg Kurstin, who was playing keyboards on Beck’s “Sea Change” tour in 2003-2004. Kurstin is a professional bubblegum pop music creator, who produced such hit singles as Sia’s “Chandelier”, Kelly Clarkson’s “Stronger” and Charli XCX’s “Famous”. According to Beck, the long delay in releasing the full album was due to the work on the perfect production of the album. Beck is a true perfectionist, but sometimes perfection can be an enemy of the good record. Some of the songs work very well for the concept of the album. It starts with the song “Colors”, which also became a new single. MGMT a-like track with happy beats sounds the same as “Dreams”: fresh, cool and tasty. “I’m So Free” is a very well produced track with picky bass and a good pre-chorus part, but the chorus itself sounds like a typical song for a pop-punk band on MTV with lyrics “I’m so free, I’m so free now, Yeah, yeah, yeah” and a heavy guitar riff. “Dear Life” is a good track, too. It was produced in the style of the good times of Elton John or Paul McCartney. The lyrics are about feeling old and feeling that half of your life is just gone that there is nothing you can do about it. The remaining four songs on the album are almost unnoticeable, personal or sincere. Two of them (“Seventh Heaven”, “Square One”) sound like a demo material that somehow ended on the final version on the album. The lyrics are just typical for the commercial pop songs that can play in the shopping mall or during a car commercial. After that comes “No Distraction”. The production is nice but the lyrics are about social networks and how they are distracting a person from the real world, which sounds blunt and naive. Nothing new, nothing interesting. “Fix me” is a ballad that wants to sound like his previous record “Morning Phase”, and that is why it hardly fits the “Colors” concept. Here is the main question about the whole new Beck release: who is he right now? If he is trying to sound like an independent artist, then it is not a good try because most of the material sounds not original or experimental at all. If he is a new pop star making a good commercial music, then this is not the right time for releasing this happy and upbeat record, because it will get lost in the ocean of the modern hip-hop releases. What an irony: the weirdest and coolest guy in music, who made fun of the contemporary pop stars, just became one of them.